Welcome to the ultimate in Hawaii luxury vacation rentals and information about luxury vacations in the Islands. Hawaiian Beach Rentals has assembled this collection of Hawaii luxury home rentals based on exquisite locations, extravagant amenities and beautiful natural surroundings. Our Hawaii luxury home rentals include a variety of amenities from private hot tubs, spas and saunas to unique architecture and lush landscaping. No detail is too small in the design of these exquisite homes and the planning of your luxury Hawaii vacation. 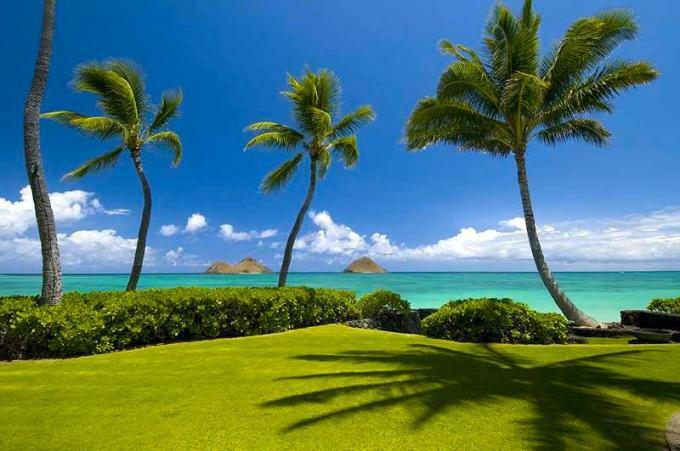 Hawaiian Beach Rentals provides luxurious places to stay in all of Hawaii's most desirable areas from the excitement of Honolulu and Waikiki on Oahu to pristine, remote locations on the outer islands of Maui, Kauai, Molokai, Lanai, and the Big Island for a vacation you will remember the rest of your life. On Oahu's windward side, play on the soft white sands and crystal blue water of Lanikai Beach or Kailua Beach and enjoy a luxury Kailua home right on these lovely stretches of sand where kayaking and windsurfing are popular along with bodysurfing and snorkeling. On Maui we offer accommodations in all the best areas including the posh resorts of Wailea, Kaanapali and Kapalua with easy access to pristine beaches, upscale shops and restaurants, and world class golf. On Kauai enjoy a luxury Poipu vacation accommodation on the sunny south shore with white sand beaches, excellent snorkeling and all the amenities of Poipu Resort including championship golf, fine dining, and live music. On the north shore, families and honeymooners alike enjoy Hanalei beachfront homes cradled by the waterfall-lined mountains. Historic Kailua-Kona on the Big Island is known for its sunny weather, great beaches, shopping, and abundant activities from snorkeling and whale watching to deep-sea fishing and tours of Kona coffee farms. You can even visit the royal Hulihee Palace from your nearby Kona luxury vacation home. The luxury resort areas along the Kona Coast and Kohala Coast are excellent areas to enjoy the Big Island vacation of your dreams. Below is information about everything you need for a relaxing and luxurious stay in Hawaii including private jet service, the top restaurants, personal chefs, luxury car rentals, the best adventures, beaches and natural attractions, private yacht charters, helicopter tours and high-end shopping. Also noted are some of Hawaii's famous residents and visitors as well as annual events where you can experience authentic Hawaiian culture, entertainment and food as well as an abundance of the "aloha spirit" in the kindness of Hawaii's residents. Luxury private flights to the Hawaiian Islands are available through numerous companies with exclusive and first-class service. Paramount Business Jets offers several options for Oahu and Maui airports with a choice of aircraft including the popular Gulfstream IIB and Challenger 604 as well as economical turboprops. They also offer discounts up to 75% on one-way and empty leg flight listings if a flight is not sold until the last minute. Monarch Air Group and Jet Charters also offer private jet charter flights to and from Oahu, Kauai, and three airports on the Big Island including Hilo, Kona and also the Waimea-Kohala Airport. Monarch Air Group is a U.S. FAA Part 135 aircraft operator based out of Fort Lauderdale International Airport. EvoJets offers private Oahu jet service with a variety of premium aircraft including turbo props as well as light, midsize and large jets with on-call access. Between islands you may choose the Embraer Phenom 300 or Cessna Caravan, and on transoceanic flights enjoy the luxury of the Dassault Falcon 900EX or Hawker 900 XP. JetCharters accommodates clients with as little as four hours notice. ElJet offers private jet service with a selection of aircraft and itineraries, and they accommodate special requests. ElJet has access to a large network of private jets and FAA Part 135 approved operators with discounted empty leg flights ideal for one-way travelers, and they also assist with travel arrangements. Aircraft Management Group arranges jet charter service and private flights to and from Kauai International Airport and manages both turbo-props and jets. You can search for an empty leg, and if your desired aircraft is not available they work with a network of qualified operators to broker one for you. Dreamline Aviation also offers private jet charter services to Kauai and operates out of San Francisco and Van Nuys with a fleet of large cabin jets, light jets and turbo props. Hawaii is known for its delicious cuisine and exceptional chefs. On Oahu you will find dozens of truly exceptional restaurants to satisfy any palate. Chef Mavro in Honolulu is a small and intimate restaurant known for their accomplished menu with items like Keahole Lobster Paella. La Mer is a refined and elegant restaurant serving southern French cuisine with a Hawaiian touch in the upscale Waikiki Halekulani Hotel. Champagne brunch and dinner are excellent at Hoku's at the Kahala Hotel & Resort with sea views and notable Euro-Pacific cuisine, and they serve up a lavish Sunday brunch with unlimited champagne. Roy's Hawaii Kai on the south shore is the original restaurant of famed Hawaii Regional Cuisine chef Roy Yamaguchi with an open kitchen and ocean vistas. For upscale Thai cuisine visit Chef Chai in Honolulu's trendy Kakaako region with fashionable decor and a one of a kind Thai fusion menu. Stage Restaurant at the Honolulu Design Center offers contemporary Asian-American Cuisine with a cosmopolitan aesthetic amidst eclectic worldly furnishings and more than 500 labels on their wine list. On the north shore the upscale Paakai restaurant is right by the sea with great views and live music. Charming Kailua town on the eastern shore of Oahu also has a variety of nice restaurants including Buzz's Original Steakhouse just steps from Kailua Beach. On Maui enjoy exceptional cuisine at Merriman's Kapalua on the scenic West Maui beachfront with an award-winning farm-to-table style menu. Acclaimed chef Masaharu Morimoto serves up sushi, steak and more in Wailea with lovely views of Mokapu Beach. The Plantation House at Kapalua Resort is a nice place for breakfast, lunch or dinner. Also in Wailea is the luxurious Duo Steak & Seafood at Four Season's Resort, the place to go for an exceptional brunch buffet with beautiful ocean views. Alan Wong's award-winning Amasia Restaurant at the Grand Wailea Resort has an innovative menu that features cuisines of Spain, Peru and Asia. One of West Maui's best restaurants is the award-winning Japengo at the Hyatt Regency. They serve Pacific Rim cuisine including steaks, seafood and world-class sushi complemented by the sunset ocean views. On the Big Island Island of Hawaii the award-winning Pahuia restaurant is located at the Four Season Hualalai right next to the sea and great for sunset dining. Norio's Japanese Restaurant and Sushi Bar at the luxurious Fairmont Orchid also has wonderful sunset views as well as exceptional cuisine. Enjoy the sunset lighting of the tiki torches at Kamuela Provision Company at Hilton Waikoloa Village. The AAA Four Diamond Brown's Beach House Restaurant at the Fairmont Orchid is known for their grilled Ono and Mahi Mahi as well as live music. At the Mauna Kea Beach Hotel dine at Manta & Pavilion Wine Bar right next to the sea. Merriman's in Waimea serves up a delicious menu designed by its award-winning chef Peter Merriman. At the Four Seasons Hualalai the Beach Tree restaurant serves up amazing lasagna as well as fresh fish. On Kauai dine with gorgeous sunset views at the Sheraton Kauai on Poipu Beach where they serve up traditional bar & grill items with a Hawaiian style and a festive selection of pupus (appetizers) and cocktails. Nearby at Kukuiula Village is exceptional cuisine at Merriman's Poipu, Josselin's Tapas Bar & Grill and the Living Foods Market & Cafe. The Grand Hyatt Kauai Luau offers a traditional Hawaiian feast with a torch-lighting ceremony by the sea, great food, and music and dance performances. Ilima Terrace at the Grand Hyatt Kauai Resort in Poipu is known for its fine Sunday brunch including delicious crepes in a tropical open-air venue. For delightful Pacific Rim and Asian food and a tropical ambiance dine at Red Salt which also has nice ocean sunset views. On the east side in Lihue on Kalapaki Bay is Duke's Canoe Club honoring the iconic Duke Kahanamoku. They serve up fresh, local seafood in a festive environment including an indoor waterfall and live music with dancing after dark. Kintaro is an exceptional east shore restaurant with great sushi and sashimi along with elegant Asian decor. On the north shore you will find the freshest seafood at Hanalei Dolphin Restaurant & Fish Market next to the Hanalei River. Also in Hanalei is Bar Acuda Tapas & Wine with an upscale and romantic ambiance along with a worldly, award-winning menu. Another great north shore restaurant is Postcards Cafe in a restored plantation-era building adorned with vintage decor. Just up the hill from Hanalei is the elegant Kauai Grill at the St. Regis Princeville Resort with outstanding food and a memorable view of Hanalei Bay. Another exceptional north shore restaurant for fine dining is the Lighthouse Bistro in Kilauea town. The Hawaiian Islands are home to many premier chefs who will cater to your every culinary need including finding the finest local seafood and produce and then arranging whatever food service you desire. Enjoy romantic sunset dinners, breakfast on the beach, meals cooked in your accommodation or delivered to you ready to eat. You can also have your luxury vacation rental pre-stocked with fresh groceries so when you arrive you will have everything ready to use. Below is an overview of some of Hawaii's finest personal chef services. On Oahu The Private Chef, Inc. provides personalized dinner parties, appetizer parties, lunches and brunches with an option for organic, Hawaii-sourced ingredients. Big City Chefs hosts small gatherings as well as extravagant affairs with a menu personalized menu for the occasion. FoodLife Personal Chef service offers in-home custom meal plans, special events dining and also cooking instruction. On Maui Chef Jana McMahon offers a family-friendly personal chef service and also offers pantry stocking services for your vacation accommodation. CJ's Deli & Diner Kaanapali Restaurant will prepare gourmet dinners at your vacation home including outdoor barbecues. Honu Cuisine Personal Chef Services offers casual or formal meals for family gatherings, small weddings and parties, and they also offer interactive cooking lessons. On the Big Island, Smart Chef Hawaii provides personal chef services including special occasion meals, regular meal services and personalized menus as well as interactive cooking lessons. Outrageous Gourmet will cook up fine cuisine for the dining experience of our choice, and will also help you plan events including weddings as well as family dinners. Cater Hawaii features the gourmet cooking of Chef Amy Ferguson who cooks to your personal taste including comfort food as well as fine cuisine. Big Island private Chef Kathy Morris offers in-home catering utilizing the freshest of local harvests and accommodating special requests including vegan and gluten-free meals. She is also known for her exotic tropical cocktails. On Kauai Paige Krest provides personalized chef services and catering specializing in creative dishes and meals that are authentic and delicious. She cooks in various styles to match your tastes and supports sustainable agricultural practices. Paige can cook private dinners as well as larger events and also offers a meal drop-off service. Cory Stokes has been a chef at some of Kauai's finest restaurants including the Grand Hyatt Kauai and utilizes fresh local ingredients including herbs, greens and vegetables from his own organic garden. He cooks breakfast, lunch and dinner as well as parties and will also pre-stock your vacation accommodation. Dani Felix cooks fine cuisine with an extensive menu including such treats as ahi tartare on Okinawan sweet potato crisps and homemade seasonal fruit sorbet. Kiki Alexander caters meals to your personal taste and also bakes everything from bread to cakes and pies. Tour Hawaii in style with an upscale car rental. JN Exotics offers a wide variety of luxury and exotic car models on Oahu and Maui including Maserati, Lamborghini, Lotus, Audi, Ferrari and Bentley, allowing you to customize cars to your liking. Hertz also rents a wide variety of luxury cars on Oahu including their Prestige collection. On Maui you can also rent luxury and prestige cars from AllSave Car Rental Maui including full-size high-end sedans. On the Big Island, Harper Car and Truck Rental operates out of Hilo and Kona, and offers specialty vehicle rentals including 4-wheel-drive vehicles which may be driven to the summit of Mauna Kea Volcano and are also necessary for trips down into Waipio Valley. Also on the Big Island is Kona Exotic Car Rental which offers the Ferrari Testarossa, Lamborghini Gallardo, Mercedes, BMW and Porsche as well as Cadillacs and Hummers. On Kauai, Airports Car Hire offers a variety of exotic and special cars including BMW, Porsche, Mercedes, Jaguar, Bentley and Hummers. Hawaiian Riders on Kauai offers luxury sedans, SUV's, convertibles and more including the Chrysler 300M and popular Cadillac DeVille. The Hawaiian Islands offer an abundance of adventure and sight seeing opportunities with each of the Islands having its own unique and unforgettable places. On Oahu helicopter tours bring you close to huge waterfalls and steep mountains, and also fly over historic attractions like Diamond Head State Monument and Pearl Harbor. You may also opt for an airplane flight-seeing tour. Drive through downtown Honolulu to appreciate the historic buildings and architecture, and visit Pearl Harbor in Honolulu to see the USS Arizona Memorial and Battleship Missouri Memorial. Along Oahu's eastern shore is the scenic Koolau mountain range and pristine beaches including Kailua Bay and Lanikai Beach. On the north shore visit the renowned surfing beaches, and on the south shore enjoy the iconic Waikiki Beach. Go snorkeling in a volcanic crater at Hanauma Bay, then see the marine life below the surface on a submarine tour. Exceptional golf courses are found all around Oahu from Olomana Golf Links (President Obama's favorite) on the east shore, to oceanfront golf at Turtle Bay Resort on the north shore. Horseback riding is enjoyable in Waimea Valley on the north shore and nearby is Dillingham Field where you can go skydiving or take a ride in a glider. On Maui you will find beauty and adventure from the posh resort areas of Wailea, Kaanapali and Kapalua to the waterfalls of Hana and the breathtaking views atop Haleakala Volcano. Go snorkeling or scuba diving, or fly above it all on a helicopter tour. Relax on the expanses of golden sand at Kaanapali Beach with excellent snorkeling at Black Rock. At Kipahulu hike to thundering waterfalls and through a bamboo grove, then swim in the Pools of Oheo. Pamper yourself with luxurious spa treatments at Wailea Resort with its immaculate white-sand beaches and premier golf courses. Crescent-shaped Molokini Crater offshore offers excellent snorkeling and scuba diving, and during the winter months whale watching tours are unforgettable. Big Island adventure and scenic beauty ranges from white sand and black sand beaches to stunning volcanic landscapes. On the Kona Coast enjoy a sunset sail or a snorkeling and dolphin tour with whale watching during the winter months. This coast is also a premier big game fishing area. Championship golf courses can be found at the Big Island's posh resort areas like the Kona Coast and Kohala Coast which also have pristine beaches. Tour Kona Coffee Country or go horseback riding in the rolling ranch lands of Waimea. Above Hilo town you can visit the towering Rainbow Falls, then drive along the Hamakua Coast to see Akaka Falls, Waipio Valley and botanical gardens. One of the most amazing drives in the Hawaiian Islands is along Crater Rim Drive in Hawaii Volcanoes National Park where you can view the summit caldera of Kilauea Volcano, enjoying short hikes and descend into Thurston Lava Tube. Jaggar Museum sits on the edge of Halemaumau Crater and nearby is Kilauea Visitor Center and the historic Volcano House. A helicopter tour is another great way to view this amazing area including the active volcanic areas where lava flows into the sea. On the "Garden Isle" of Kauai the Na Pali Coast and Waimea Canyon are two must-see locations. Along the Na Pali steep seacliffs rise up into majestic peaks and pinnacles, and Waimea Canyon is a scenic 10-mile-long red-rocked gorge. Also make sure to visit the lush and verdant north shore with its string of immaculate beaches. On the north shore visit historic Kilauea Lighthouse with panoramic ocean views and many native birds. On the east shore see Wailua Falls and Opaekaa Falls. Go wakeboarding or waterskiing in the Wailua River, and then take a riverboat cruise to the famed Fern Grotto. See it all on a helicopter tour including the impressive waterfalls in the summit crater of Mt. Waialeale. Enjoying Hawaii's pristine ocean waters is a great addition to any luxury vacation and may include chartering your own private sailboat, sailing catamaran or motorized yacht. On Oahu, Hawaii Yachts charters sailing yachts and motor yachts including snorkeling excursions, dinner cruises and whale watching during the winter months. Sail Blue Hawaii offers private Oahu sailing charters on a Benteau 411 with many amenities including a large swim platform and fresh-water shower. Larger vessels accommodate up to 49 passengers for sailing and custom cruising. Wild Side Specialty Tours takes pride in their "green" charter fleet minimizing exhaust and underwater noise. On Maui, Pride of Maui offer private charters aboard luxurious yachts for sunset dinners, evening cruises or whatever your itinerary requires. Island Star Excursions offers private sailing around Maalaea Bay with dinner prepared below decks, and they encourage guests to take the helm of the 57-foot Columbia sailing yacht. Hawaii Sailing Adventures offers crewed sailing and luxury yacht charters on Maui including monohull sailboats and luxury catamaran with itineraries designed for beginners as well as accomplished sailors. On the Big Island, Maile Charters offers sailboat charters on a restored 50-ft. GulfStar sloop. Mauna Lani Sea Adventures offers private Big Island sailing charters on the "Winona" with a "Stairway to the Sea" for easy access for swimming and snorkeling. Hawaii Sailing Adventures provides private charters on luxury catamaran sailboats on the Big Island and Kauai. Captain Andy's offers personalized Kauai yachting on the Southern Star including fishing and visits to the famed sea caves along the Na Pali Coast. Few adventures are as breathtaking as a helicopter tour over the Hawaiian Islands offering a birds-eye view of remote waterfalls, spectacular beaches and a range of amazing views from the Na Pali Coast on Kauai to active lava flows on the Big Island. Blue Hawaiian Helicopters offers private charters on Oahu, Maui, Big Island and Kauai helicopter tours for yourself or your group with your own custom designed itinerary including excursions over Molokai. They fly Eco-Stars and customized A-Star helicopters with amenities including Bose noise-canceling headsets, 4-camera digital DVD in-flight recording and two-way communication with the pilot who is also a certified Hawaii tour guide. Also offered are doors-off flights for photo-tours, cinematography and professional photography. Paradise Helicopters offers Oahu helicopter tours leaving from the North Shore's Turtle Bay Resort including views of Pearl Harbor and an option to land at Kualoa Ranch for an exclusive adventure. Makani Kai Helicopters flies jet turbine helicopters on Oahu providing aerial tours over Honolulu Harbor, the USS Arizona Memorial, Diamond Head, Waikiki and Hanauma Bay. Air Maui offers helicopter tours of Haleakala, West Maui, the lush Hana region and the spectacular Molokai seacliffs. Amenities on their A-Star helicopters include air conditioning, digital stereo music and noise-reducing headsets. A MultiVision video system records the tour. Safari offers helicopter tours on Kauai and the Big Island on the advanced A-Star 350 B2-7 helicopter with air-conditioned comfort, Bose X noise-canceling headsets, two-way communication with pilot and oversized windows including their signature "Safari skylight." A 4-camera video system records your flight. Paradise Helicopters offers customized Big Island helicopter tours with exclusive landing access for ziplining and hiking. Jack Harter Helicopter Tours offers 60-minute and 90-minute flights on Kauai in a luxurious, 6-passenger A-Star helicopter with air conditioning, floor-to-ceiling windows, a two-way intercom and live narration. They also fly 4-passenger Hughes 500 helicopters with the doors off and offer exclusive tours and charters. On the main Hawaiian Islands you will find a wide variety of high-end shopping opportunities from upscale shops with top designer labels to lovely boutiques offering one-of-a-kind items. Aloha Tower Marketplace at Oahu's Honolulu Harbor is set beneath the historic Aloha Tower with many nice gift shops and restaurants as well as live entertainment venues. Just east of Waikiki is the prestigious Kahala area where you can shop at the Kahala Mall with more than 100 shops and restaurants. For upscale shopping in Waikiki visit the boutiques of Luxury Row with stores like Chanel, Yves Saint Laurent, Gucci and Tiffany & Co.. The Chinatown district in downtown Honolulu is fun to browse with eclectic shops and a lively arts scene. The large Ala Moana Shopping Center is known for its tropical landscaping as well as designer boutiques like Dior, Burberry and Balenciaga as well as Nordstrom and Neiman Marcus. On Oahu's north shore there is fun shopping in historic Haleiwa town with boutique gift stores as well as art galleries in plantation-era buildings, and on the eastern shore there are lovely boutique shops and art galleries in charming Kailua town. Maui has excellent shopping opportunities including the Shops at Wailea on the southwest shore with designers like Gucci, Louis Vuitton, Tiffany & Co. and Bottega Veneta. More upscale shops are found at Kaanapali Resort including Whalers Village. Small Maui towns like Paia and Makawao have nice boutique shops to browse, as does Wailuku. Art lovers will enjoy Lahaina town with many galleries as well as gift shops. On the Big Island you will find excellent shopping in the upscale resort areas of the Kona and Kohala Coasts and also in Hilo town. The Kings Shops on the Kohala Coast has fine shops like Louis Vuitton, Tiffany's and Coach as well as fine jewelry, and often features hula dancing and live music. More nice shops are found in Hilo as well as Prince Kuhio Plaza with clothing and gift shops. Along Kona's Alii Drive there are many art galleries and other fun shops to browse. Art lovers will also enjoy the Volcano Art Center in Hawaii Volcanoes National Park. On Kauai you will find many high-end shopping opportunities including the chic shops of Kukuiula Village on the south shore and the upscale boutiques of Poipu Resort including shops at the resort hotels. Art galleries abound in nearby Hanapepe which hosts an "Art Night" every Friday evening. The north shore has wonderful shops in Kilauea, Princeville and Hanalei. The St. Regis Princeville Resort and Princeville Shopping Center are home to fine jewelry shops, art galleries and gift shops. Hanalei has a small commercial area with numerous interesting galleries and shops to browse. The Kong Lung Historic Market Center in Kilauea town features antiques and exotic imports as well as Hawaiian-made gifts. Hawaii has long been a favorite getaway for the rich and famous who come for the great weather, spectacular beaches and beautiful scenery as well as seclusion and privacy. Many notable people were also born in the Islands including President Barack Obama who still visits for vacations with Michelle and their family. Also born in Hawaii was actress Bette Midler, professional golfer Michelle Wie, actress Kelly Hu, actress Nicole Kidman, singer Nicole Scherzinger and Tia Carrere of "Dancing With the Stars" fame. Actor Jim Nabors who played Gomer Pyle lives on Oahu, as does musician Jack Johnson and AOL CEO Steve Case. Oprah Winfrey purchased two large properties on Maui including one near Hana town which is also home to Kris Kristofferson. Clint Eastwood built a house on the South Maui oceanfront and Steven Tyler bought one in Kihei. Willie Nelson owns Charley's Restaurant & Saloon in Paia, and Woody Harrelson owns a home in nearby Huelo. Also a homeowner on the north shore of Maui is Owen Wilson. Frequent Maui visitors include Cameron Diaz, Elton John, Jennifer Love Hewitt, Mike Myers, Matthew McConaughey, Paris Hilton and Britney Spears. 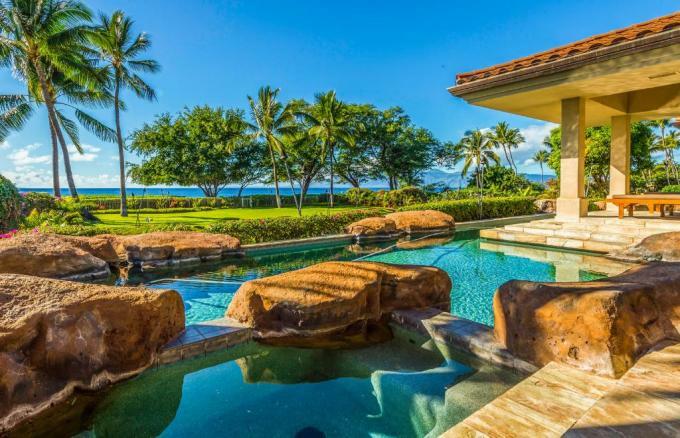 Notable Big Island homeowners include financier Charles Schwab, Microsoft cofounder Paul Allen and Dell founder Michael Dell who owns a Kona beachfront estate. Roseanne Barr purchased a Big Island macadamia nut farm. Astronaut Buzz Aldrin has often vacationed on the Big Island, and Harrison Ford celebrated his 65th birthday on the Hamakua Coast in the company of Steven Spielberg, John Hurt and Cate Blanchett. Notable Kauai homeowners past and present include Julia Roberts, Ben Stiller, Pierce Brosnan, Todd Rundgren, Graham Nash, Natalie Merchant, Sylvester Stallone, Kareem Abdul Jabbar, Will Smith, Bette Midler and Jeff Bridges. Celebrities are often seen visiting the prestigious St. Regis Princeville Resort including Ben Affleck, Jennifer Garner, Alicia Keys, George Clooney, Kelly Clarkson, Olivia Munn, Avril Lavigne and Matt Damon. The Hawaiian Islands host a variety of annual events and festivals that provide a memorable glimpse into the history, people and culture including the abundant aloha spirit in the kindness of the residents. Town celebrations, music and film festivals, sporting events, hula dancing and traditional Hawaiian cultural events all offer a rich addition to any Hawaii visit. On Oahu the Honolulu Festival takes place in March, and in May is the Na Hoku o Hawaii Music Festival as well as the Honolulu Triathlon. The King Kamehameha Hula Competition takes place in June, as does the King Kamehameha Floral Parade featuring marching bands and colorful floats. Both the Ukulele Festival and the Hawaii International Jazz Festival are held in July. September is time for the Hawaii Food & Wine Festival and then in October the Hawaii Fishing & Seafood Festival. November is time for the World Invitational Hula Festival as well as the beginning of the Vans Triple Crown of Surfing. On Maui is the Ocean Arts Festival takes place in February in Lahaina town including live music and hula. The East Maui Taro Festival is held in April in Hana town, and the Celebration of the Arts takes place in April at the Ritz-Carlton Kapalua. In June is the Hawaiian Slack-Key Guitar Festival as well as King Kamehameha Day celebrations and the Kapalua Wine & Food Festival. In July is the Makawao Parade & Rodeo, while A Taste of Lahaina is held in September. The Hawaii International Film Festival is held in November, and Maui's Festival of Lights takes place in December with a parade down Front Street in Lahaina featuring floats and marching bands. On the Big Island, the Waimea Town Celebration in February includes sporting events and cultural demonstrations. Also in February is the Waimea Cherry Blossom Festival. Taste local Hawaiian beer at the Kona Brewers Festival in March, and the premier hula event called the Merrie Monarch Festival takes place in March/April in Hilo. The Big Island Film Festival is held in May, as is the Kau Coffee Festival. In July is the Big Island Music Festival as well as the World Billfish Challenge and the Parker Ranch Fourth of July Rodeo. In October is the Ironman World Championship, while the Kona Coffee Cultural Festival takes place in November. Kauai's Waimea town celebration is held in February, and the Prince Kuhio Festival takes place in March featuring hula and cultural events. The Kauai Polynesian Festival in May showcases Polynesian arts, crafts and dancing, and Taste of Hawaii in June features top chefs. Koloa Plantation Days in July includes a rodeo and parade. In September the Kauai Mokihana Festival features Hawaiian music, dance and artwork, and also in September is the Kauai Marathon. October is time for the popular Coconut Festival on the east shore and the Emalani Festival at Kokee State Park. The Hawaiian Slack Key Guitar Festival is held on Kauai in November. Our goal at Hawaiian Beach Rentals is to make sure you have a perfect vacation by assisting you in your selection of an outstanding luxury Hawaii vacation home that meets and exceeds all your needs and desires. Please browse through our listings to get an understanding of the many different amenities and property features that are available. We take pride in offering the largest selection of high-quality luxury rental properties in the Hawaiian Islands and list only the best properties on our site. If you have any questions about luxury vacation rentals in Hawaii or which area is best suited for you, please give us a call and we will be happy to assist you. From beachfront estates to private villas you will enjoy all of the comforts of home along with the amenities of a luxury accommodation in paradise. Oceanfront Diamond Head homes and Kahala luxury rentals provide access to all of the excitement of Waikiki and Honolulu while allowing you the privacy and serenity of one of Oahu's nicest neighborhoods. Enjoy the waves of Waikiki, the history and culture of Honolulu, and live music nightly just a short distance from your private refuge. 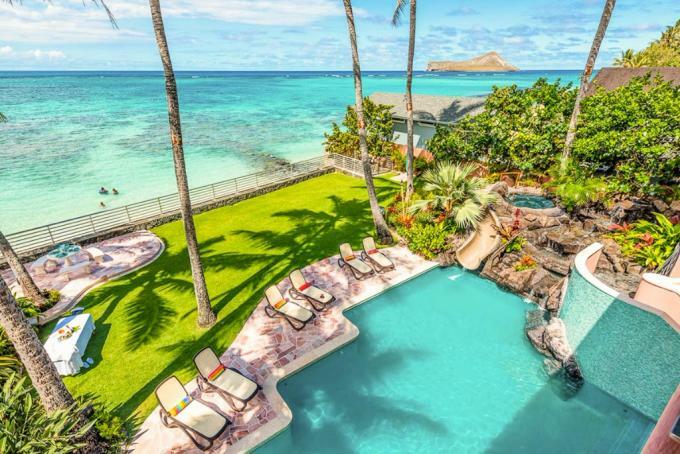 Enjoy one of Oahu's most prestigious neighborhoods in your Lanikai vacation home near the immaculate white sands of Lanikai Beach with the scenic Mokulua Islands offshore. From a North Shore luxury vacation home you have easy access to some of Oahu's finest beaches and famous surfing spots, great snorkeling and scuba diving, championship golf courses, air tours and stunning scenery. On Maui enjoy the amenities of master-planned resorts like Kaanapali, Kapalua and Wailea with spectacular beaches and fun activities as well as luxurious spa services. Experience the remote and lush beauty of Hana town with stunning coastal vistas and hikes to thundering waterfalls. On the Big Island stay on the famed Kona Coast or Kohala Coast with championship golf courses, pristine beaches and resort amenities complemented by near perfect weather. Luxury destinations on Kauai include the sun-soaked Poipu Resort on the south shore lined with golden-sand beaches. The prestigious Anini and Anini Vista neighborhoods offer the best of the north shore along with Princeville Resort and Hanalei town bordering the miles-long sandy crescent beach of Hanalei Bay, and Wainiha and Haena tucked between emerald mountains and gorgeous beaches. For more information about Hawaii shopping, dining, beaches and activities please see our luxury vacation pages for each island and the vacation rental pages for Oahu, Maui, the Big Island and Kauai as well as our feature pages on Beaches, Things To Do, Golf Course and Hikes. If you need any help or recommendations when planning the Hawaii luxury vacation of your dreams, please feel free to give us a call and we would be happy to help in any way we can.